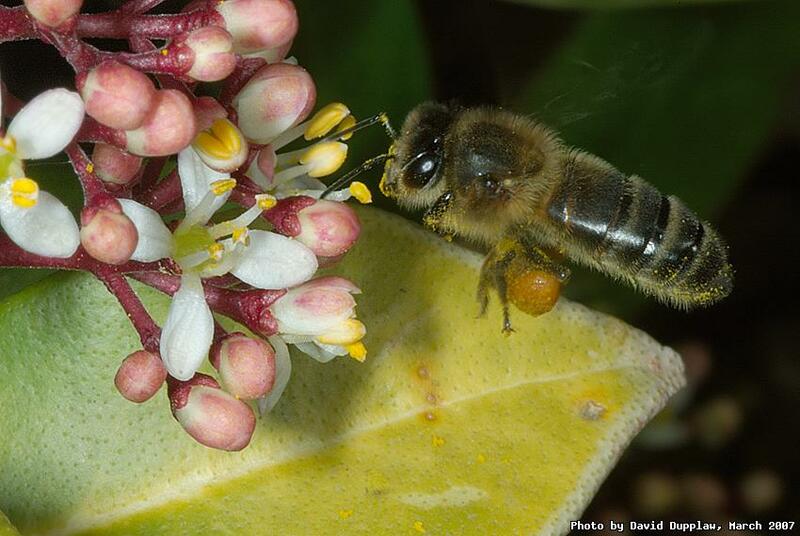 A honey bee foraging for pollen to push into the sack on its legs and take back to the hive. Honey bees are amazing creatures. Beekeeping is something I'd like to get into, but I'm having trouble keeping up with all the hobbies I've already got! !